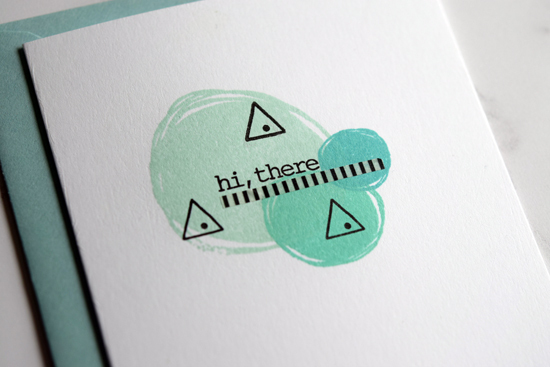 Love when a card is just paper, stamps, and ink -- so easy to mail! As part of my stamp buying binge last week, I got Essentials by Ellen by Julie Wonky Backdrops. This was my favorite part of the recent release and expect to use it a lot. The circles and triangle are from that set. The sentiment is from All Inside and the tiny dot from Bokeh Dots. Used three shades of aqua ink by Altenew because I knew I wanted to participate in the February Essentials by Ellen Pin-Sights Challenge. Here's the inspiration photo. Gorgeous! Thanks for your thoughts on my previous post. Very helpful and appreciated. Beautiful Joan. It IS nice to mail a card like that. 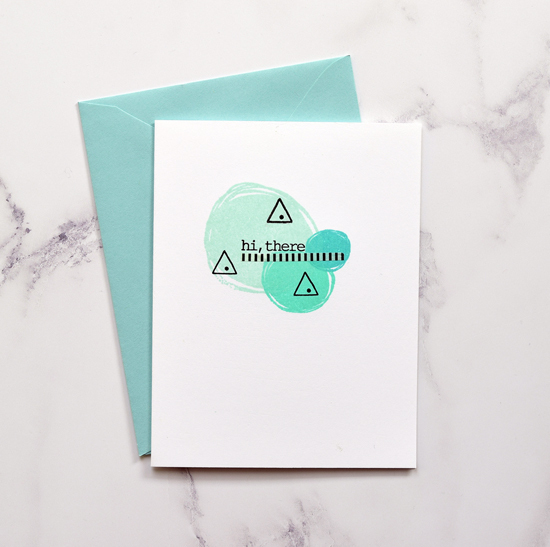 I personally do often make layered cards but I prefer them less bulky. This is really nice! 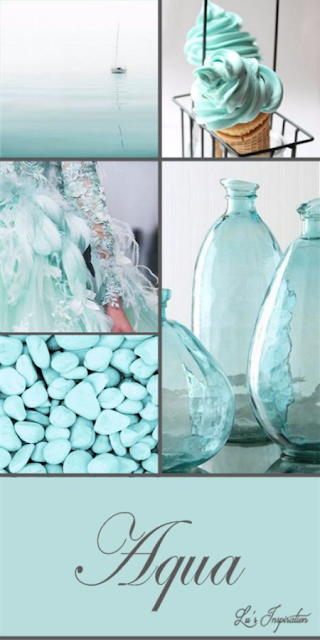 Ohhh, love that aqua! Had to follow all your links... I want it all. Currently painting my stamp room (did the ceiling yesterday) and the wall paint is supposed to be that palest aqua shade, but I have some concern that it might look more like pale mint green. I'm keeping it, though. Good to see a sample from your buying binge, Joan. I can see you'll get a lot of use out of these stamps.